Prime Minister Theresa May has been told that she has just 72 hours to save her job. The warning comes from MPs frustrated by Mrs May's handling of Brexit negotiations after an unsuccessful summit last week. 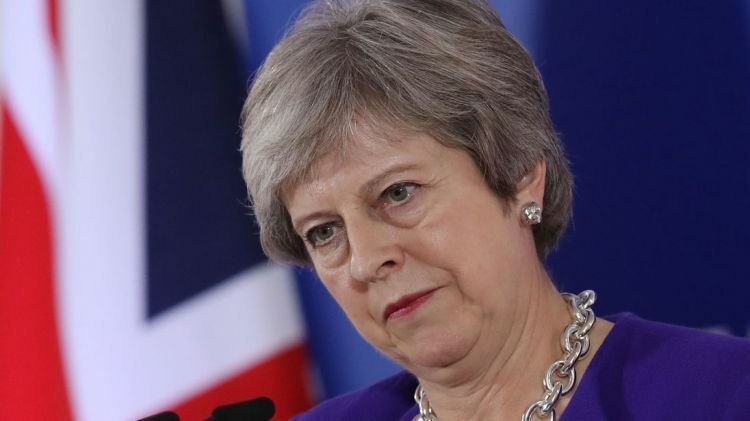 For a no confidence vote to be triggered, 48 letters from Conservative MPs must be submitted to the party's chairman and some have claimed that that threshold could soon be reached. Brexit supporter Andrew Bridgen told The Mail on Sunday that Mrs May must attend Wednesday's meeting of the Tory 1922 committee of backbenchers or risk making "the letters go in even faster". He said: "This week Theresa May will find that she is drinking in the last chance saloon and the bad news for her is that the bar is already dry." David Davis, a possible successor to Mrs May, wrote in The Mail on Sunday that the prime minister had "managed to anger not just Leavers but ardent Remainers as well". He said that the EU has plenty to lose if the UK crashes out of the bloc without a deal in March, adding: "We should not allow ourselves to be bullied by the EU." Mr Davis' article continued: "There have been claims that planes will not fly between the UK and EU. "This is extremely improbable as it would undermine the Spanish and other European tourism markets as well as Mediterranean property markets. "Furthermore, European flights would still need our airspace in order to fly to the US. "That should be enough to focus minds on a sensible outcome." Tory MP Johnny Mercer, who described the government as a "s***show" last week, said he had received "overwhelming" support from within the party after speaking out. He told The Sunday Times: "I cannot continue to support an administration that cannot function." Labour has also added to the pressure on Mrs May, proving that, even if she can manage to strike a deal with Europe, that does not guarantee it will please parliament. Shadow Brexit secretary Sir Keir Starmer said the current situation was a "mess of the prime minister's own making". Writing in The Sunday Times, he said: "To say that things have gone very wrong is an understatement. "Things could - and should - have been different. "But at no stage has the prime minister ever reached out to parliament or sought to build a national consensus on our future relationship with the EU. "If she thinks Labour should prop her up because her own team won't back her, she can think again." The words come as business warn they will set contingency plans in motion, moving work overseas and axing jobs in the UK, if there is no agreement between the UK and EU by Christmas.